View of Front Street from off-shore. Photo by Wendy Osher. 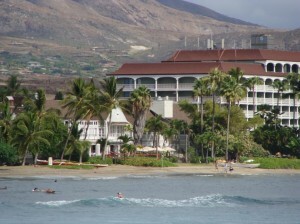 Maui’s Front Street has been named to a national list of the 10 Great Streets for 2011. The selection was made by the American Planning Association (APA), under the organization’s Great Places in America program. The recognition comes just weeks before a Halloween event returns to Front Street in full capacity on October 31st. The Halloween festivities have drawn tens of thousands of people to the street in its heyday. The extended closure of the street was denied in recent years amid controversy over cultural sensitivity, skimpy costumes and lewd behavior. This year, county officials say concerns have been addressed, and are hoping the return will generate an economic boost for business. 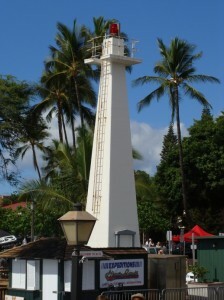 Lahaina Harbor lighthouse. Photo by Wendy Osher. The Great Streets award recognizes places that exemplify exceptional character and highlight the role planners and planning play in creating communities of lasting value. APA selected Front Street for its history, amenities, revitalization efforts, and continuous use by multiple generations for a variety of purposes. The picturesque views and mild climate were also considered as contributing factors. “The planning success of Front Street is due to years of effective partnerships between non-profit organizations, government leaders and countless community members. 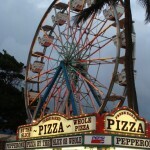 With everyone striving to balance Front Street’s historical, cultural and commercial needs we will ensure that this special seaside treasure lives on,” said Maui County Council Member Elle Cochran. Through the Great Places in America program, APA recognizes unique and exemplary streets, neighborhoods, and public spaces. These authentic places showcase diverse architectural styles, promote community involvement and accessibility, and foster economic opportunity. 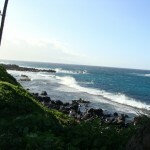 Moku'ula. Photo by Wendy Osher. Since APA began Great Places in America in 2007, 50 neighborhoods, 50 streets and 40 public spaces have been designated in all 50 states and the District of Columbia. “Nearly five decades of preservation and revitalization efforts have uncovered and saved more than 1,300 years of culture and heritage,” said APA Chief Executive Officer Paul Farmer, FAICP. Front Street’s architecture and sidewalks reflect Lahaina’s chronological history starting with the Moku’ula archaeological site to buildings from the 1830s and later. 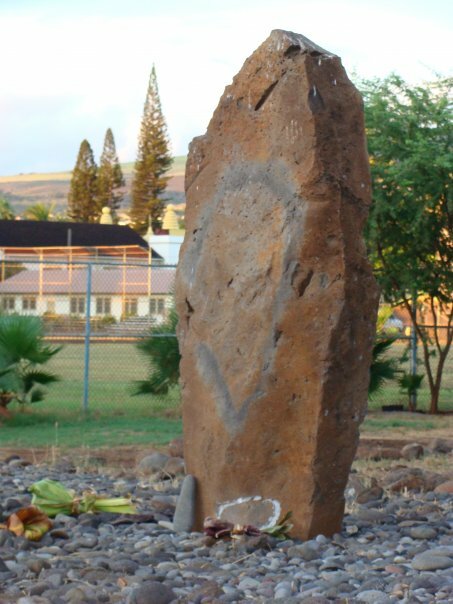 Moku’ula, located at the intersection of Front and Shaw Streets, is a sacred island that was was once home to high chiefs from the 16th to 19th centuries. The island was buried years ago and filled for a county park. Efforts are currently underway to restore the site to its former grandeur. Lahaina also served as the capital for the Hawaiian Kingdom from 1802-1842 before government activities were moved to Honolulu. 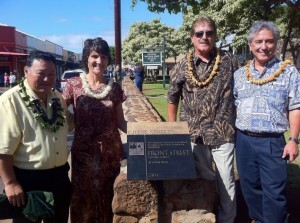 “From its start as the home of Native Hawaiian royalty to its days as a whaling outpost and missionary stronghold, and later a plantation town, to its current status as a tourist attraction, Front Street has embraced its history while accommodating more contemporary uses,” said Farmer. 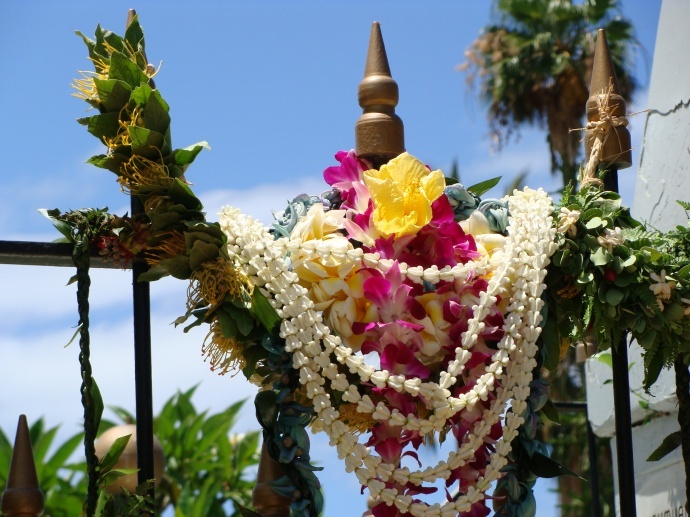 Royal tombs located in Wainee, just off Front Street, are a reminder of Lahaina's royal past. Photo by Wendy Osher. 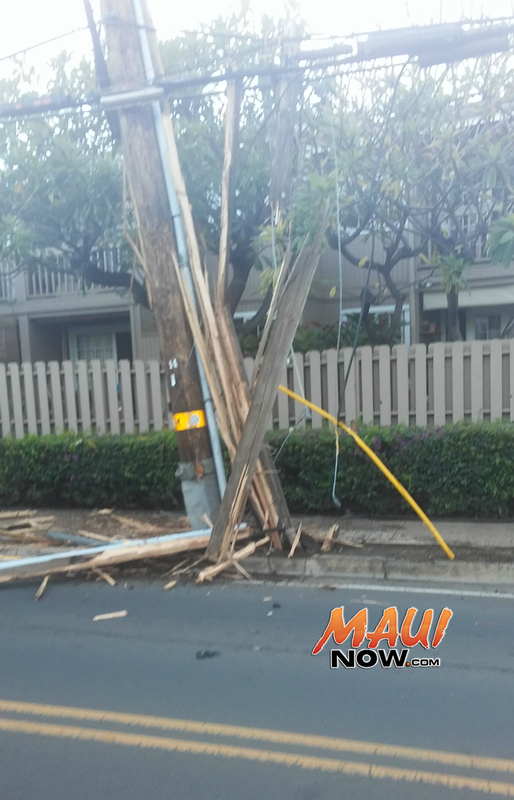 Front Street is characterized by wooden storefronts, second-story balconies, parks, art galleries, eateries, residential quarters, and views of the West Maui Mountains, Lahaina Harbor and the island of Lanai. In 1965, Lahaina was listed on the National Register and, three years later, was the focus of an architectural style book designed to protect plantation-era vernacular architecture. Front Street underwent a major $11 million facelift in 1997 that included widening sidewalks and burying most electric utility lines. 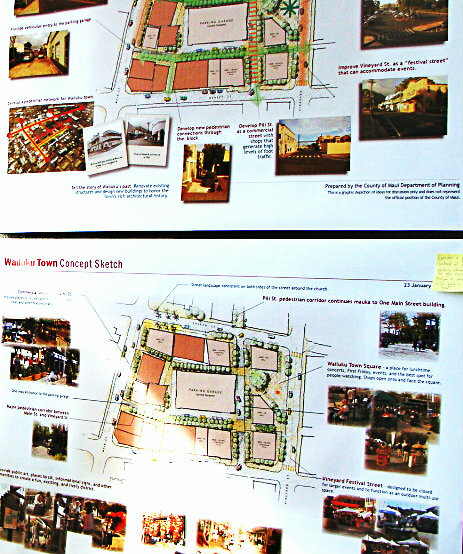 Other planning efforts have addressed density and commercial development issues, and established sign guidelines. The nine other Great Streets selected by the APA for 2011 include: Santa Monica Boulevard, West Hollywood, CA; U Street N.W., Washington, DC; Main Street, Galena, IL; Main Street, Nantucket, MA; Washington Avenue, St. Louis, MO; Market Street and Market Square, Portsmouth, NH; Downtown Woodstock Streetscape, Woodstock, VT; King Street, Alexandria, VA; and Davis Street, Culpeper, VA.